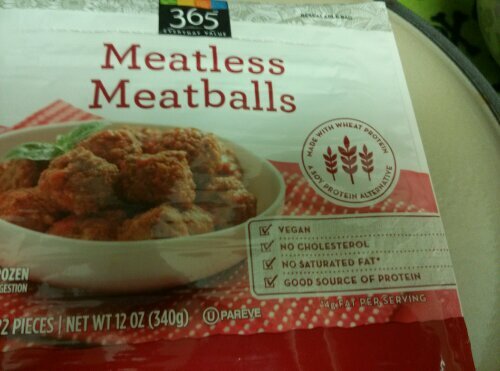 I usually make my own out of TVP, and WF didn’t seem to have Gardein’s new product, so we decided to try the 365 brand. 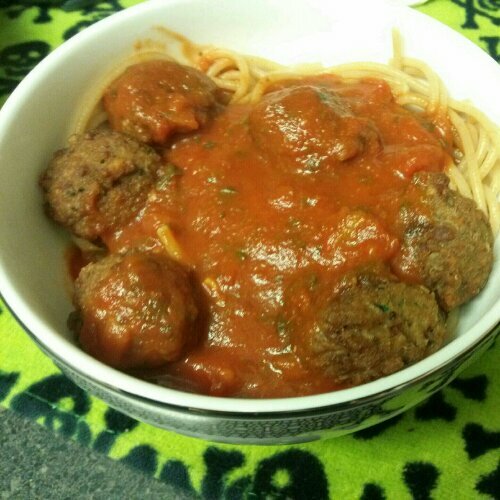 He baked them in the oven on a prepared cookie sheet according to package directions, combined them with 365 basil pasta sauce, and served it over whole wheat spaghetti. They were really good. Well seasoned, nice texture, absorbed some of the sauce. Definitely glad we picked these up! We’ll have to try their other meat analogs sometime.